In collabor ation with Prof. Naomasa Yamamoto, we have developed a novel human lymphocyte fusion partner cell line, designated SPYMEG*1. (1, 2) Through the fusion of human peripheral blood mononuclear cells (PBMCs) with SPYMEG (Fig. 1), we can efficiently and reproducibly establish hybridomas that stably produce monoclonal antibodies of complete human origin. Hybridoma construction using SPYMEG technology provides greater efficiency compared with other human fusion partners reported so far. Application of SPYMEG to influenza viruses, which have been stored in freezers for nearly 20 years, yielded ten hybridomas, which produced neutralizing antibodies against influenza A H1N1, influenza A H3N2, or influenza B. Notably resultant anti-H3N2 and anti-B antibodies showed broad reactivity within the subtype. Antibodies B-1 and D-1 showed strong neutralizing activity against H3N2 1968-2005 vaccine strains. We participated in the project “Research and Development of Therapeutic Products against Infectious Diseases, especially Dengue Virus Infection (PI: Prof. Kazuyoshi Ikuta, Osaka University) (3, 4)”, as a part of “Science and Technology Research Partnership for Sustainable Development (SATREPS) program (5)” of the Japan Science and Technology Agency (JST) and the Japan International Cooperation Agency (JICA). In this project, we provided technical support to studies in Thailand and succeeded in the development of therapeutic antibody candidates against influenza viruses (6-8), Dengue virus (9-12), HIV type 1 (13), and botulinum toxin (14-17). Upon infection with one of four serotype of Dengue viruses (DENVs)*2, patients could acquire serotype-specific immunity. Notably, it is known that the second infection with the other serotypes tends to aggravate symptoms. In the SATREPS project, we prepared tens of hybridomas from PBMCs of acute and/or convalescent phase patients with DENV infection and demonstrated by in vitro neutralizing assay and in animal studies that anti-DENV antibodies exhibited the neutralizing activity against all four serotypes. Accordingly, these antibodies could serve as therapeutics in treatments of patients with both the primary infection and reinfection. To expedite the formulation of anti-DENV neutralizing antibodies, clinical trials and the approval application process, we plan to collaborate with domestic and international pharma or to license out our proprietary biologic seeds to pharma. This pipeline will be beneficial for not only tropical and sub-tropical countries where dengue fever is an epidemic but also for any country under the future threat of Global Warming. Likewise, the application of SPYMEG to Ebola hemorrhagic fever and other refractory infectious diseases may provide a clue to novel treatments. As demonstrated in our previous studies (6-17), SPYMEG is an effective tool for creating therapeutic antibodies of completely human origin for infectious diseases, especially for viral infections. Human monoclonal antibodies originated from recovered or unaffected patients among infected individuals, could overcome problems associated with humanized antibodies. Alternatively, such neutralizing monoclonal antibodies are beneficial to basic research for identifying mechanisms of infection or new prophylaxes and/or treatments. We believe that the SPYMEG technology will become an alternative to current approaches in the production of human monoclonal antibodies and contribute to advancements in immunology and medicine. The licensing deal of SPYMEG is now open to researchers and industries. Binding/Neutralizing Human Monoclonal Antibodies Against Botulinum Neurotoxin Type B. Patent application number: PCT/JP2013/005123. Publication number: WO2014034127. Preparation and characterization of human monoclonal antibodies against type B botulinum neurotoxin. Matsumura T, Sasaki K, Sugawara Y, Kohda T, Kozaki S, Ikuta K, Fujinaga Y.  The 49th IBRCC (The Interagency Botulism Research Coordinating Committee) 2012, Baltimore, USA, Sep. 4-7, 2012. Development of human monoclonal antibodies effectively neutralizing botulinum neurotoxin. Matsumura T, Sasaki K., Sugawara Y, Yutani M, Kohda T., Takahashi M., Ikuta K., Fujinaga Y. The 12th Awaji International Forum on Infection and Immunity, Awaji, Japan, Sep. 23-26, 2013. Characterization of human monoclonal antibodies effectively neutralizing type B botulinum neurotoxin. Matsumura T, Sasaki K, Sugawara Y, Yutani M., Kohda T, Takahashi M Kozaki S., Ikuta K., Fujinaga Y. The 50th annual IBRCC (The Interagency Botulism Research Coordinating Committee) 2013 meeting, Annapolis, MD, Oct. 20-23, 2013. A human-murine fusion partner cell line has been constructed with mouse myeloma cell line SP2/0 and human leukemia cell line MEG-01, which has been established from a 56-years-old man with chronic megakaryoblastic leukemia (n = 104 (ranging from 71 to 193). 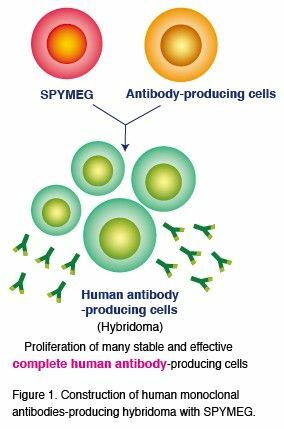 Unlike Karpas 707H (Karpas et al., 2001) and others, SPYMEG can produce antigen-specific antibody-producing cells through direct fusion with human PBMCs. The yield of antibody production is comparable to that with mouse myeloma. Dengue viruses (DENVs) are members of the genus Flavivirus in the family Flaviviridae along with yellow fever, West Nile and Japanese encephalitis viruses, and are the causative agent of Dengue fever mediated by mosquito within the genus Aedes, principally A. aegypti. Deng viruses were first isolated by Ren Kimura and Susumu Hotta in Nagasaki, Japan in 1943 and are classified into four closely related serotypes, DENV-1, DENV-2, DENV-3 and DENV-4. At present, all four serotypes are found in in tropical and subtropical regions around the world, and may spread to temperate regions due to the Global Warming.